This is great when just when you think you have “nothing in the house” and voila! 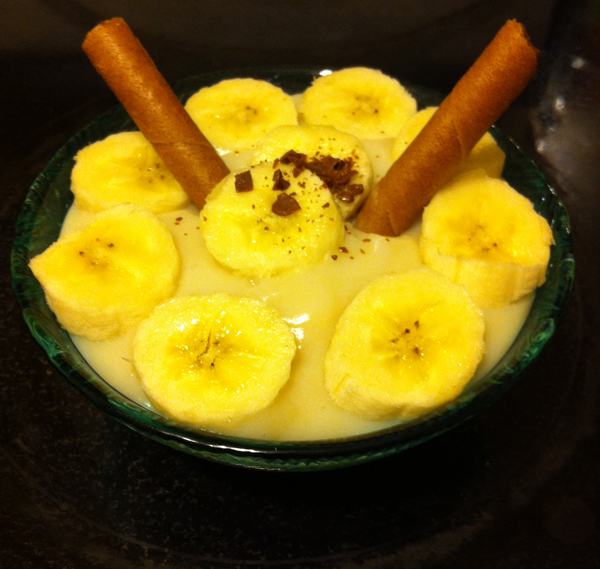 Pudding! Blend sugar, cornstarch and salt in glass bowl. Add milk and cook or microwave for 5 -7 min on high. Stir every 3 min – till thick and clear. Add a small amount of pudding to egg (to bring egg up to temperature of the pudding) then add to pudding. Microwave 1min @ 50% power (or take off heat). Add vanilla, rum & stir. Pour into glass bowls for individual servings. Pudding will thicken as it cools. 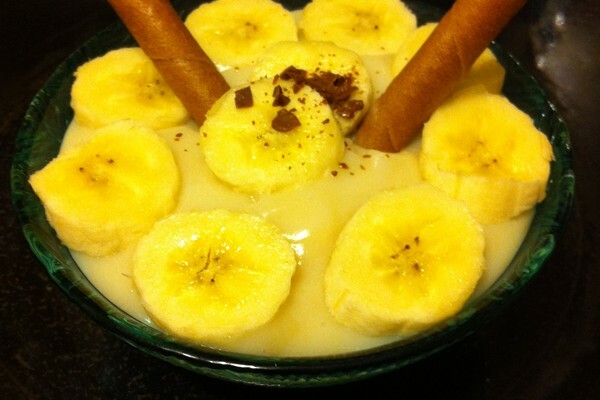 If you like bananas, place bananas in the bottom of the individual bowls and pour pudding overtop (as shown in image) . Peaches fresh raspberries on top make a nice garnish. Note: the egg only adds flavour, it is not needed for thickening, therefore if you don’t have an egg, or choose not to eat eggs, the recipe will be fine without it. I have made it many times without the egg when necessary.